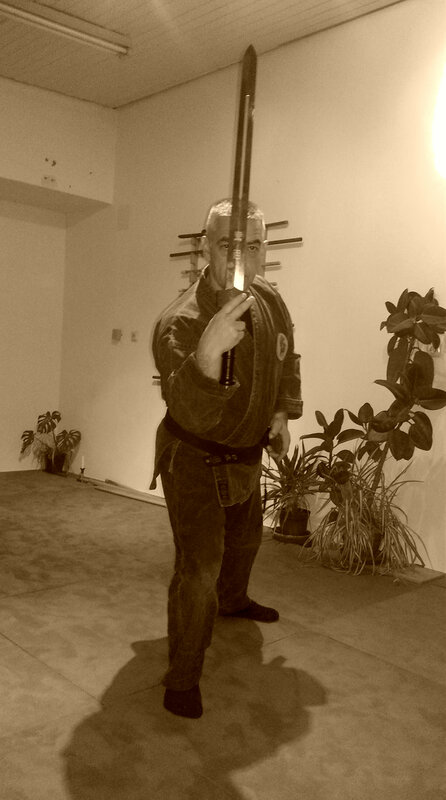 Hatsumi sensei is developing the Ken techniques saying there are no fixed kamae for the Ken. It was the same when we began the study of Tachi waza. But we always start from a situational body posture. When you attend classes these days you can observe some kind of kamae or better said, body attitudes looking like some of the kamae we have ben studied. 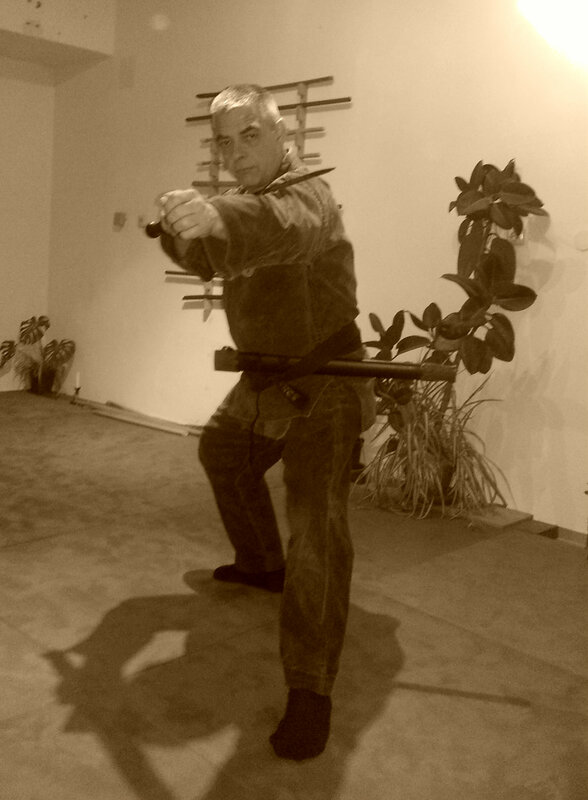 I have trained on my own with these “no kamae” and I found them interesting to begin our study of this new weapon. 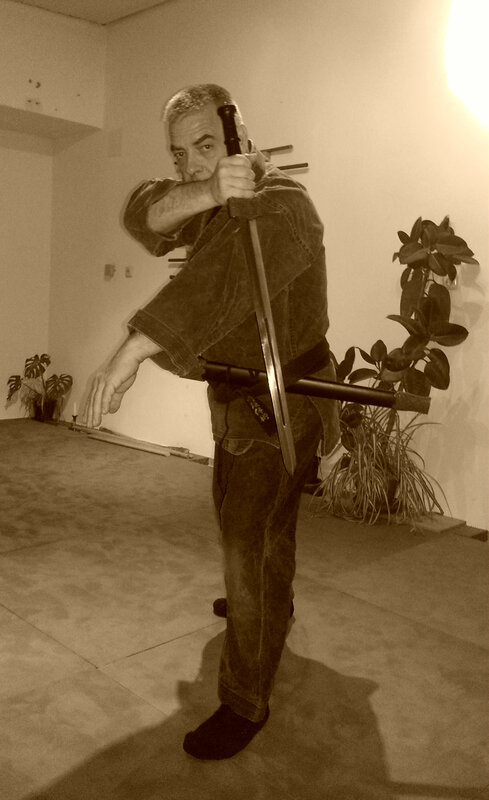 The Ken moves often like a heavy Hanbô but because of the double edge blade, the Hanbô no Kamae are often not applicable. For example if we can use the tate no kamae or the munen nusô no kamae, or the kage no kamae; it is obvious that the hira ichimonji no kamae and the otonashi no kamae are to be avoided! 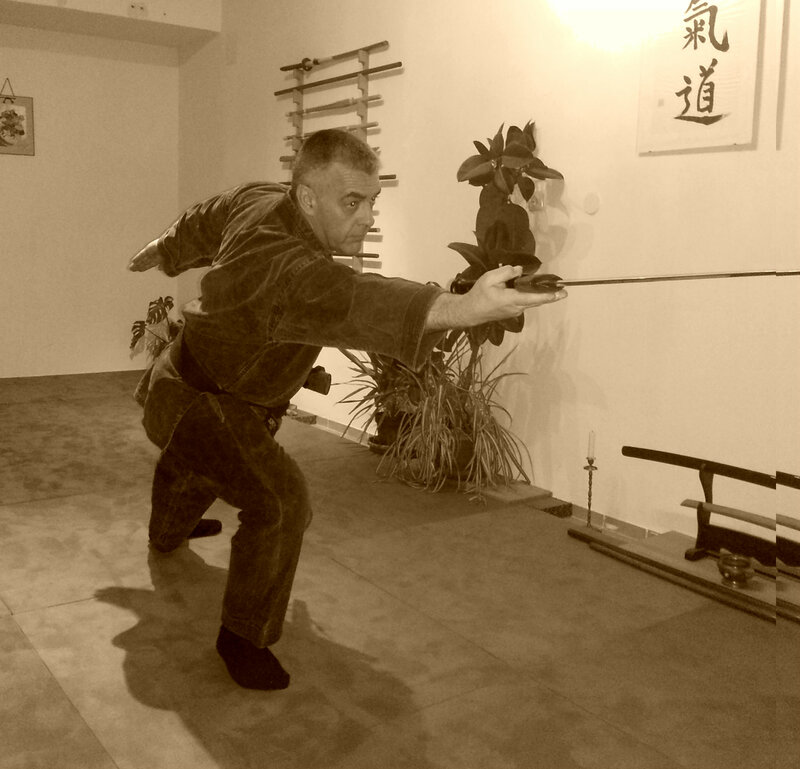 Here are a few “no kamae” that you can study in relation with the Ken. They “look like” Kamae but they are Mû Kamae 無有構え, inexistant attitudes giving freedom to your taijutsu. Previous Post Jyanen Or Jian Nen? Thank you Arnaud. It’s interesting how the origin once again becomes the point for “no form”. It seems to advance you return again and again in a circle to the point of origin to start a new cycle of advancement or learning.